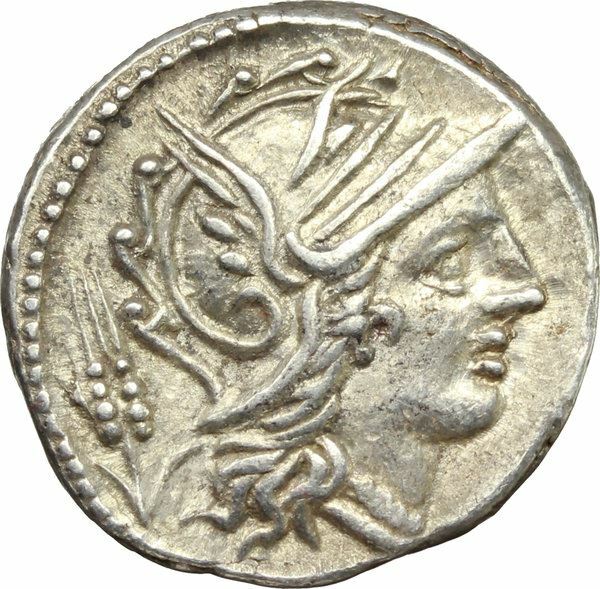 L. Julius was one of the moneyers for the year 101 BC. He is often mistaken for his namesake the moneyer L. Iulius, who struck coins on 141 BC. Gens Julia or Iulia was one of the most ancient patrician families at Ancient Rome. Members of the gens attained the highest dignities of the state in the earliest times of the Republic. The first of the family to obtain the consulship was Gaius Julius Iulus in 489 BC. The gens is perhaps best known, however, for Gaius Julius Caesar, the dictator, and grand uncle of the emperor Augustus, through whom the name was passed to the so-called Julio-Claudian dynasty of the 1st century AD.